← Shake off the dirt, Persephone, it’s time to dance. And it’s about time. Maybe it’s the whole getting older thing but this winter felt endless and I’m glad it’s over. The last snowstorm on March 4 dumped over a foot of snow on my little corner of the river. 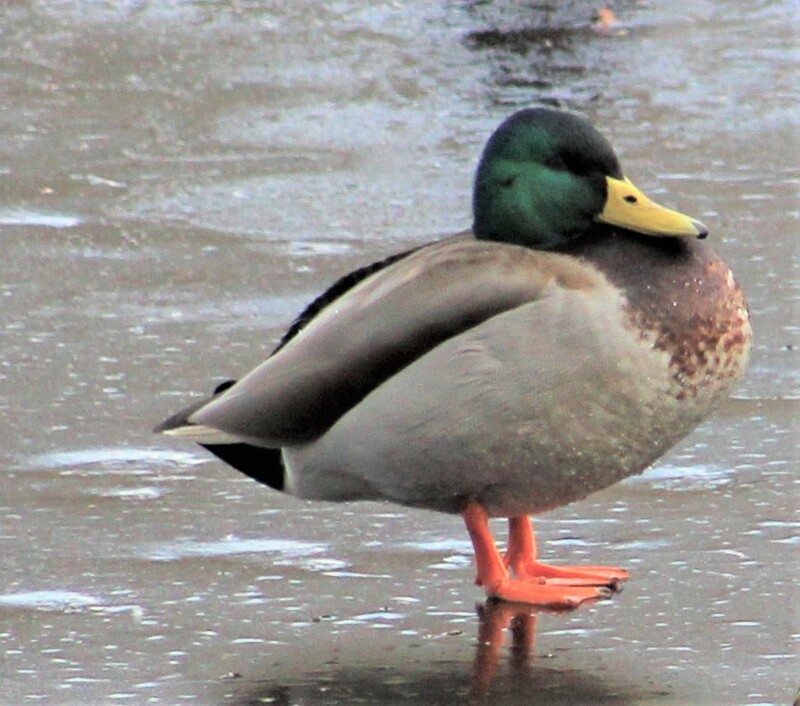 But my ducks just rolled with it. 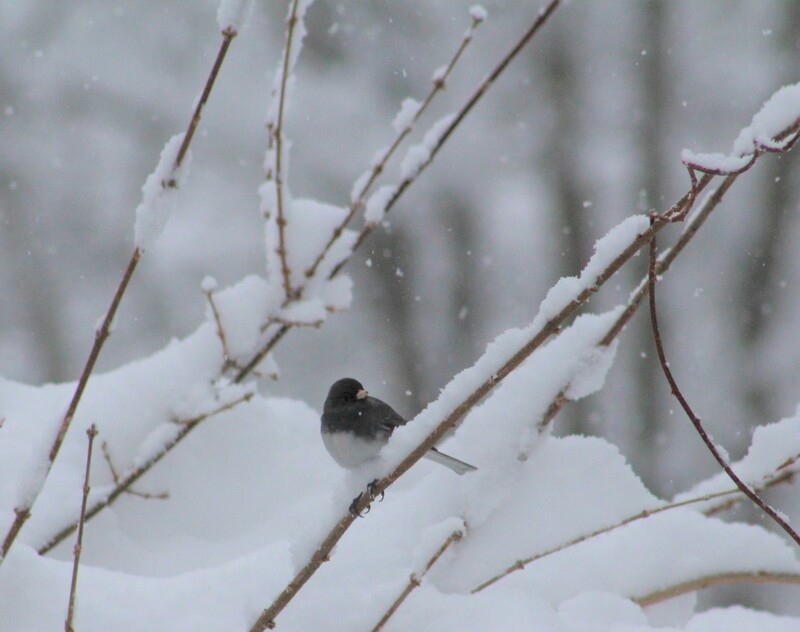 They’re hearty souls and it takes more than a little, or a lot, of snow to phase them. I will admit my river was pretty. But I’m done with snow for a while. I need to get my hands into some warm earth and feel the worms wiggling around my fingers. 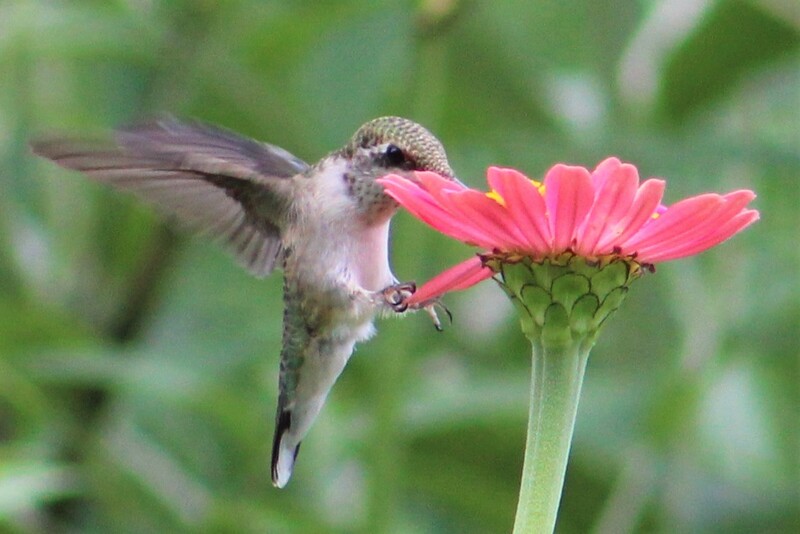 In short, I need to see my flowers blooming! Have you started your seeds yet? It’s time, you know. This year I plan of planting loads of zinnias. 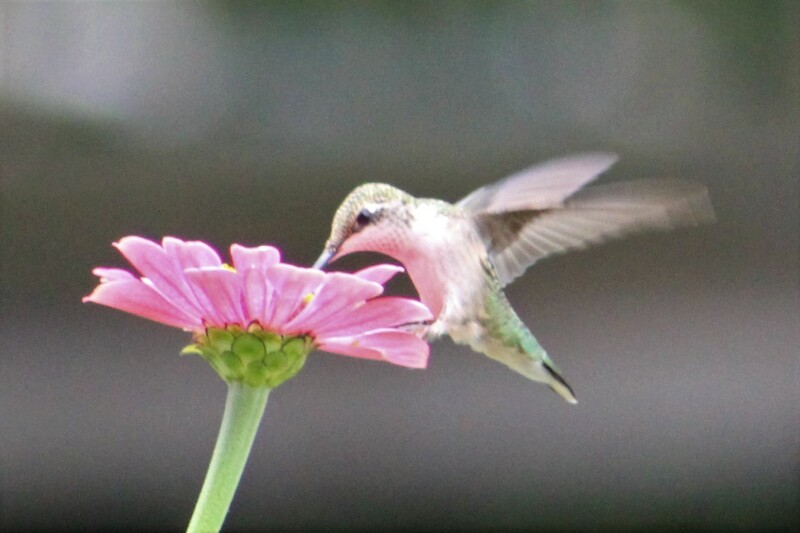 The Ruby-throated Hummingbirds love them. I’m also trying to start nasturtium and moonflower seeds. Nothing yet but I’m hopeful. I have this silly fantasy of lying in my bed at night and smelling the fragrant aroma of moonflowers outside my open bedroom window. I also have a fantasy about Keanu Reeves, but I’ll save that topic for a different blog post. Last night, the first night of spring, 2019, saw a super Worm moon. The last time the Vernal Equinox hosted a super full moon was in 1905! I hope you got a chance to see it. The next time a super full moon and the spring equinox coincide will be in 2144. I don’t expect to be here for that one so I’m thrilled the night was clear and that I could get a good look last night. Now that spring is in the air the activity along the river has picked up. The red-winged blackbirds and grackles are back from their southern vacation homes. 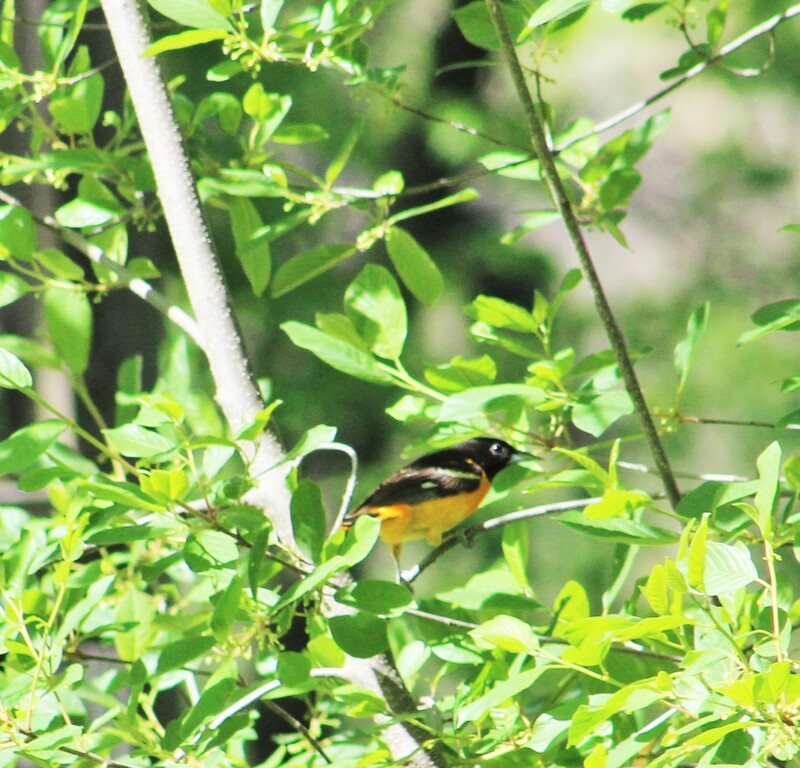 Both Red-winged Blackbirds and Grackles belong to the Family Icteridae which also includes orioles, such as my beautiful Baltimore Orioles that visit my yard each summer. I hope you’re paying attention because there’ll be a quiz next week in biology class. The coming of spring has also stepped up the romance in the air. 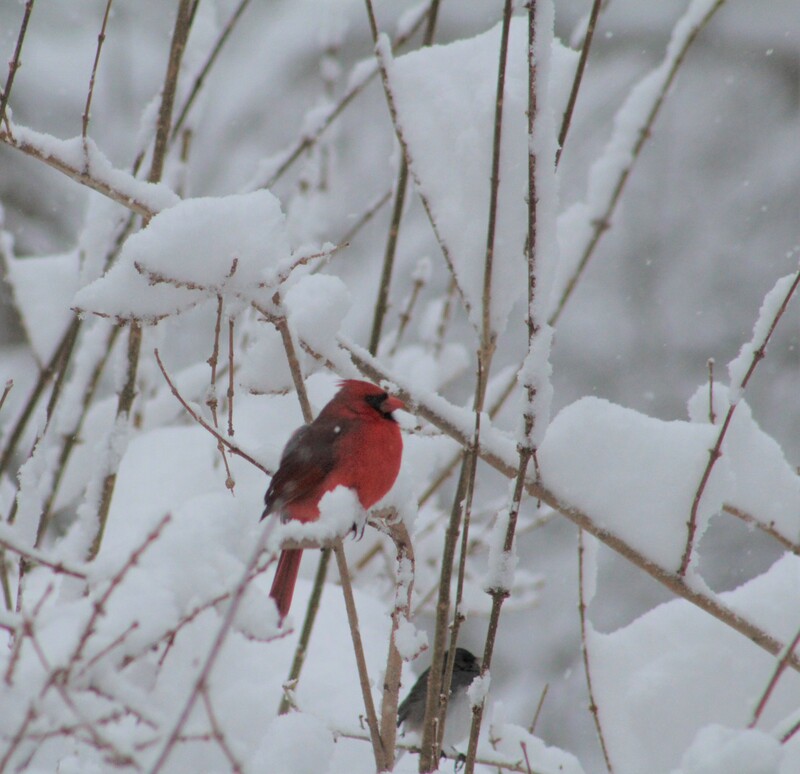 My Northern Cardinal pair is feeling amorous and the male cardinal performed his tender courting ritual of feeding the female a sunflower seed. 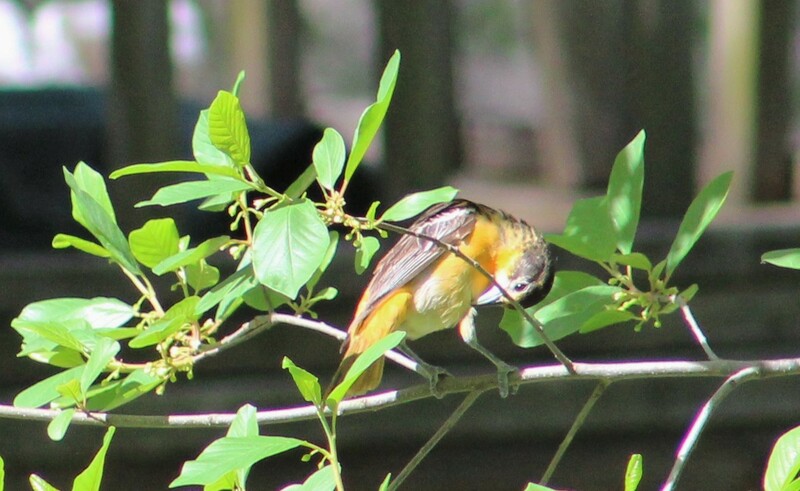 Not being ones for PDA, they hid behind the branches of my forsythia bush. When he was finished feeding his lady love, the male gave me a nasty look as if to tell me to mind my own business. Too bad, I told him. My house, my money, my sunflower seed, my rules. …and also a male Northern pintail. Although both birds should be with their respective mates by now they didn’t seem bothered at going stud. I guess they’re keeping their options open. Maybe the pintail thought he’d get himself a little Mallard action but the hen kept her eyes closed and ignored him, though I’m sure it didn’t hurt that her drake was by her side. Mallard drake and hen, and Northern pintail. 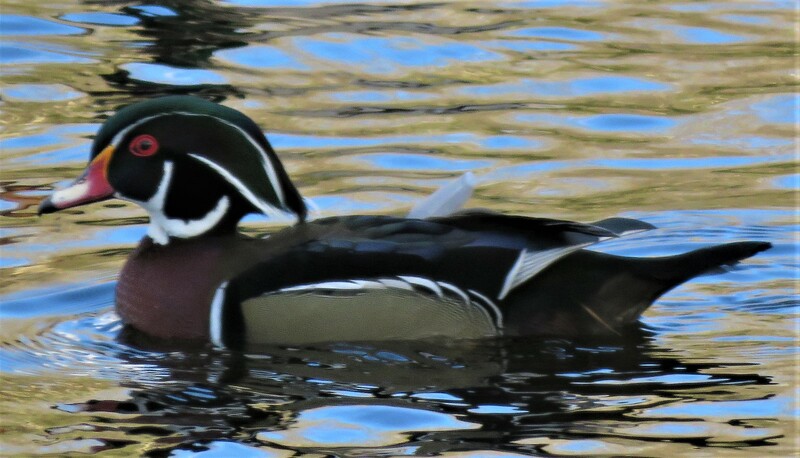 As long as I on the topic of ducks, a pair of wood ducks have been hanging around my beach. 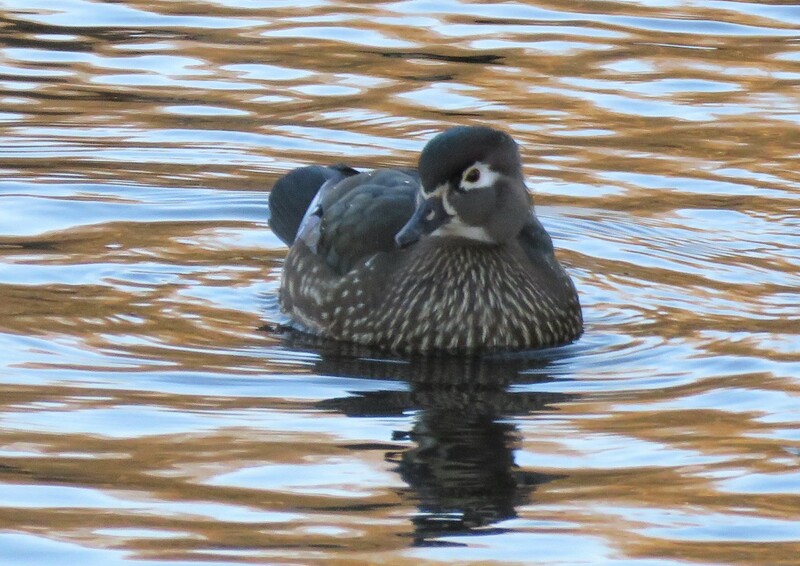 Wood duck hen and drake. Two springs ago I put up a wood duck nesting box. Getting the box ready. Oh, boy! 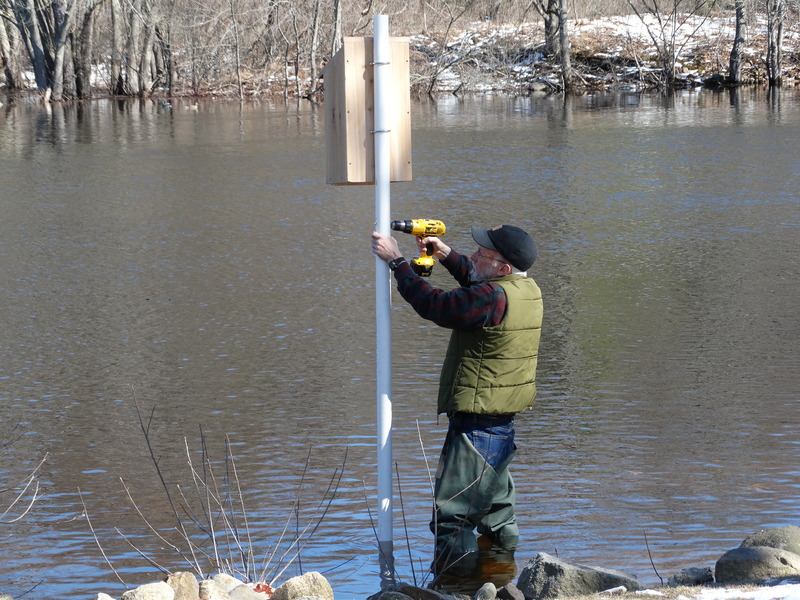 Fine, for the record, my friend put up the wood duck box, but I paid for it, and I supervised. Anyway, I’ve never hosted a pair of Wood Ducks in the box. Just sparrows. Lots and lots of sparrows. This year things might work out for me. The pair has been here for a few days. And the hen is getting comfortable with me being out in the yard. I have all my toes and fingers crossed she’ll lay some eggs for me. 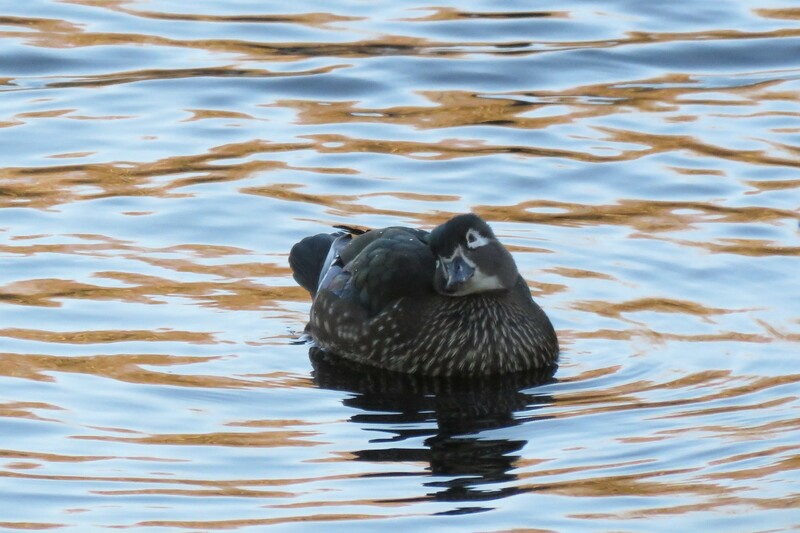 I want to be a grandma to baby wood ducks. Until then I’ll keep myself content by photographing the daddy-to-be. 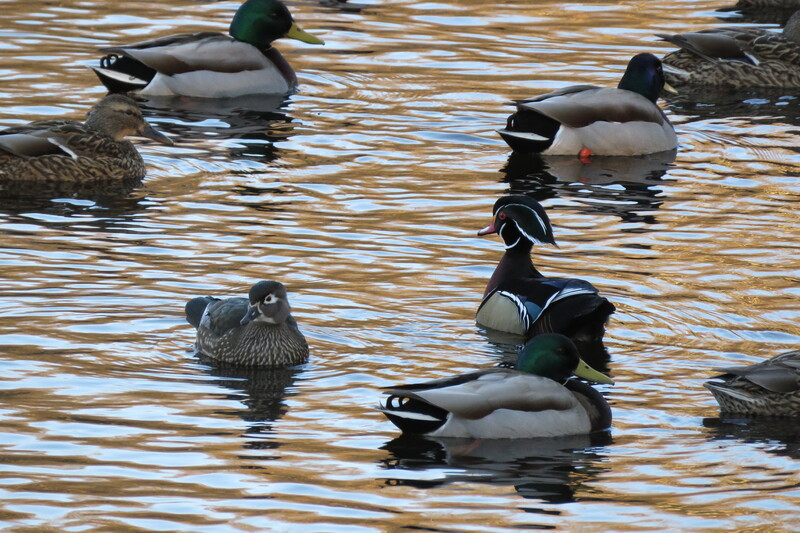 Tell me, who do you think is more handsome – a male Mallard or the male Wood Duck? The most handsome of all is my Harlee! Today is his second anniversary. He and I met in 2017 and it was love at first sight. Thank you, Labs 4 Rescue. To celebrate the beginning of spring I made a batch of cookies that I call Spring Cakes. I would typically frost them with tinted icing but I was out of food coloring. They were still delicious–Chris ate a bunch. Here’s the recipe. Now, I want you to go and make some Spring Cakes, brew a cup of tea, and head outside salute the beginning of spring. 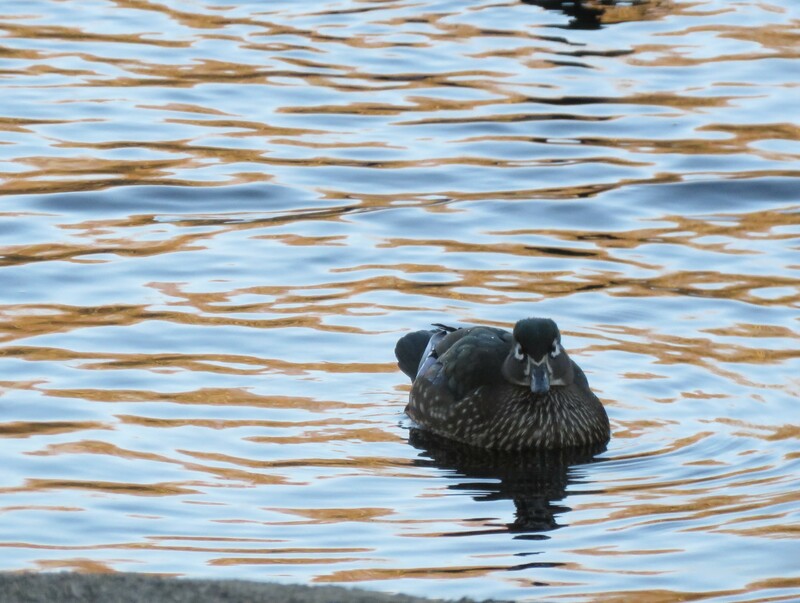 This entry was posted in Life on the Concord River and tagged black Labs, courtship, ducks, Mallards, Northern Pintail, Ostara, rescue dogs, songbirds, spring 2019, super worm moon, trumpet swans. Bookmark the permalink. 1 Response to Spring is officially here!